Gloucester, 26 October 2017: ISD Solutions, a leader in specialised composite panel construction and cladding solutions, including retail and distribution warehouses, cold storage facilities and data centres, has appointed divisional manager Kevin Bowsher to head up the ISD Solutions Industrial Waterproofing division. 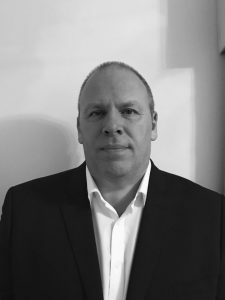 Kevin brings over 35 years’ experience in the construction industry, with senior commercial roles within the building envelope, controlled environments, structural timber, insulation and roofing sectors. With extensive knowledge of not only the construction sales process, but Kevin also brings an understanding of a myriad of different products and applications across all construction sectors. This extends from general construction materials, during time spent in the merchants and distribution sector, to the modern day composite roof and wall panels, offsite structural timber solutions, insulation and single ply roofing membranes. With specialist expertise in flat roofing Kevin has worked with market leading manufacturers for both insulation and single ply membranes and gained valuable experience and knowledge within this market sector, which will prove invaluable in the new role. ISD Solutions launched the new division targeting the massive industrial and structural waterproofing sector in 2015 winning a number of large contracts. ISD Industrial Waterproofing Division will complement existing projects and enhance the range of technical construction services offered to clients, architects and main contractors. More about ISD Solutions Industrial Waterproofing division offers a nationwide service for projects of all sizes as well as repair and maintenance contracts, covering in-house design, product specification and advice, access and installation, site management, CDM requirements, quality assured workmanship and guarantees.